The job prospects at the time of your graduating would depend on the economic conditions prevailing at that point in time. If you are in class 11 or 12 now, you will graduate 4 to 5 years from now. Predicting the economic conditions in the world and in the UK at that point in time is a challenge that the greatest economists in the world will shy away from taking up. You can however receive a sense of the conditions prevailing at this time. In the year 2013 – 2014, not more than 20,700 skilled workers were offered jobs in the UK. These people had a ‘Certificate of Sponsorship’ from their prospective employers to get the work visa. They got this certificate because the jobs they got were on the ‘shortage occupation list’. 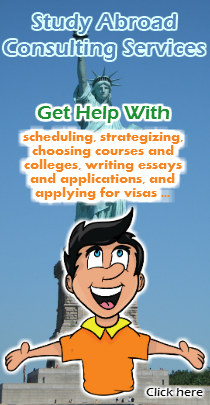 Getting a job through colleges and universities in the U.K relies heavily on your own initiative and ability. Jobs are available, but only for a handful of students. Therefore, you will need to make sure that you stand out in the crowd so as to be preferred over everybody else. Many colleges in the U.K have placement or job departments which help students get jobs. It is important to understand that their work primarily revolves around assessing the capabilities of students and guiding them in the right direction. Students need to create their own path and use their talent and confidence to appear as exceptional candidates to employers. The trick is to learn as much as possible and interact with everybody who’s related to your field. You will need to sharpen your networking skills and develop good relations with professors, prospective employers and fellow students. It is imperative to attend seminars, meetings, conferences etc. so as to meet new people and create bonds that might prove to be influential in your career. You should create an impactful resume and send it to as many companies as possible. 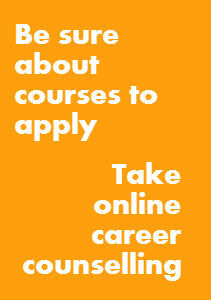 Speak to prospective employers and try to understand what they are looking for in candidates. It can be a major help to gain essential work experience during your studies as employers are most likely to prefer candidates who already have industry experience in the field. WILL YOU GET A WORK VISA? This is the most common type of work – visa in the U.K and you would require a ‘Certificate of Sponsorship’ from your prospective employer to get this visa. You can only get this certificate if the job is on the ‘shortage occupation list’ or if your employer has determined through a ‘Residential Labor Market Test’ that no resident worker was available to take the job. Your annual income cannot be less than 20,300 pounds per year in order to get this visa. You will be allotted this visa stay and work in the U.K for a total of 3 years and 1 month or the time given on your certificate of sponsorship, whichever is shorter. However, you can always apply to extend your visa in the same category. The Tier 1 (Graduate Entrepreneur) category is primarily for non – European graduates who have completed their graduation from a college/university in the U.K and now want to establish a business there. In one year, a total of only 2,000 visas can be allotted through this category. For the year 2013 – 2014, only 900 places could be allocated under this category to graduates (any subject) from qualifying institutions. You will need a ‘Letter of Endorsement’ from your institution stating that you have a genuine and credible business and idea and that most of your time would be spent working towards that idea and business. Apart from the letter of endorsement, you will also need to show that you have the specified amount of maintenance funds to sustain yourself in the U.K. The minimum amount that you should have is 1,800 pounds. This amount should be in your bank account for a period of 90 consecutive days before the day you apply for the visa. This visa will allow you to stay in the U.K for a period of 1 year. You can choose to apply for the extension provided that your institution provides you a new letter stating that you have made significant progress in your business venture. The ‘Investor’ category visa is granted to foreign nationals who have a high net – worth and are willing to invest substantial sums of money in the U.K. You will need to show that you have the ability to invest 1,000,000 pounds in order to apply for this category. The ‘Entrepreneur’ category is for non – U.K citizens who want to set up or take over a business in the U.K. You will need to show that you have a sum of 200,000 pounds to invest in the business. Even 50,000 pounds will do, provided that these funds are provided by registered venture capital funds, by seed funding entrepreneurial competitions or by 1 or more U.K Government departments.